Swimming Pool and Spa Service and Repair for the Burlington, Greensboro, and local Triad areas. We provide the service, knowledge, & experience needed to solve all your pool chemical or equipement problems so you can spend less time worrying about your pool & more time enjoying your pool! We specialize in vinyl liner replacements, safety cover installation, electronic leak detection, electronic ionization water purification systems, and home buyer pool inspections. Our weekly pool cleanings rate includes chlorine chemical treatments and all equipment needed to get your pool sparkling clean. We offer a full line of Pool Chemicals and Equipment Sales. Our family has been natives of Alamance county for over 60 years. 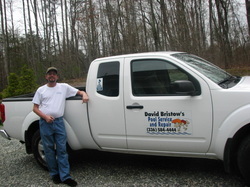 We have been serving Alamance County since 2003, with having over 19 years of experience. Rest assured, you are in good, safe hands with us. Customer satisfication is our #1 priority!